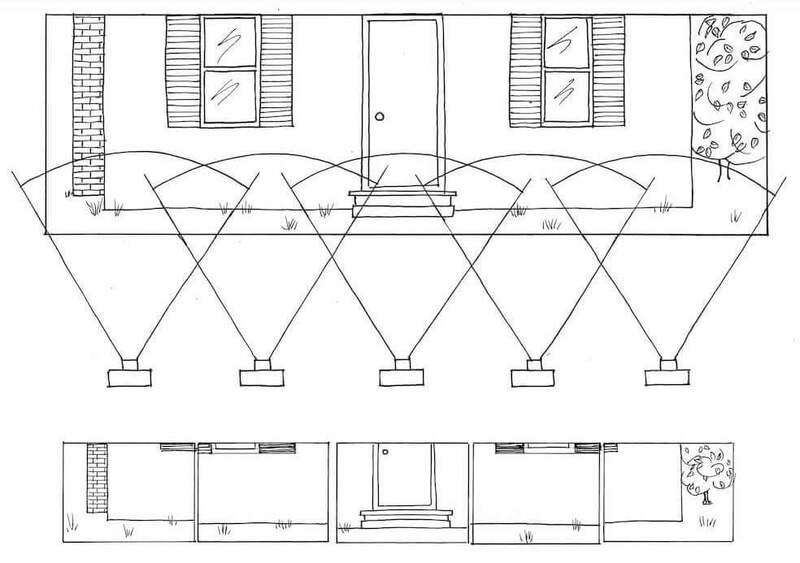 Example – A Foundation planting for the front of a house. 2) Move across the front of the house from left to right while taking overlapping photographs from a distance of about 12 ft. Photograph the entire area for which you want an image and a plan. 3) For landscape plans that don’t involve part of a foundation plan (front, back, or side of a house), please contact us for help. Return to "Order a Custom Image & Plan"